THE CBD Pavillion had heads yesterday today as the first artwork for the #LoveBundy art trail was installed. 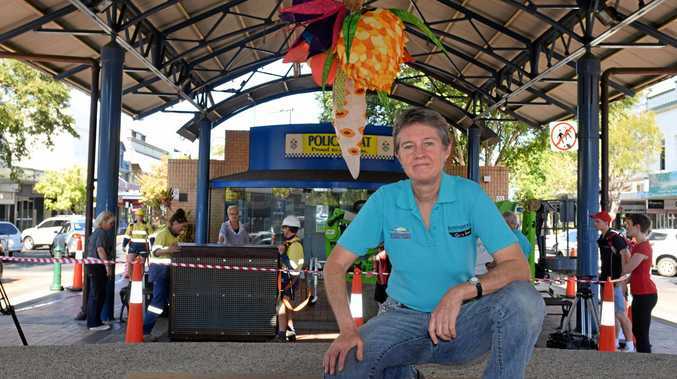 Bundaberg Regional Council will place seven works of art across Bundaberg as part of the Bundaberg Traders campaign. The creator of the first artwork, Jenny Gilbertson, said she and a small team had less than three weeks to whip up the floral piece. "We put our heads together and thought 'what can we come up with in a really short time-frame? '," Ms Gilbertson said. 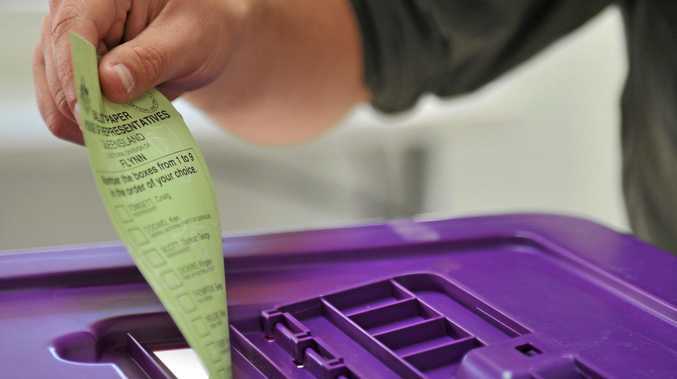 "It's going to be big and noticeable - doable." 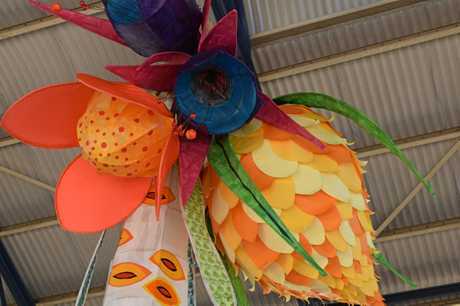 The artwork represents her interest in lanterns, recycling some parts she had previously used in Chinese New Year festivities. 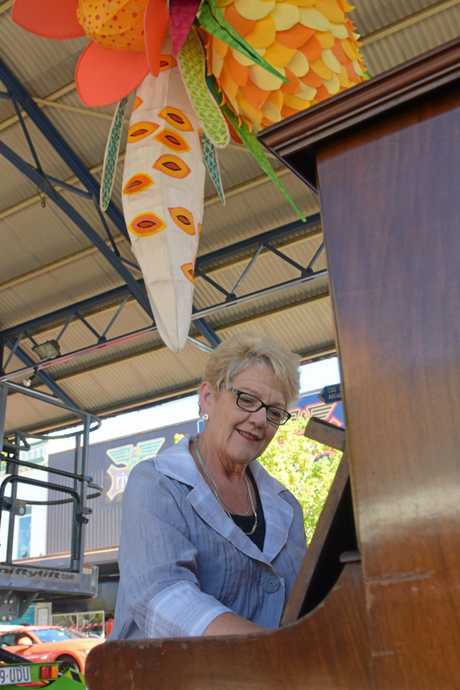 "(The piece) is part of the #LoveBundy campaign for the businesses in Bundaberg and just a way to activate the space and have a bit of fun,"
The artwork includes a hanging bundle of various crafted flowers and a piano that the community is encouraged to play to showcase local talent. Ms Gilbertson said she wasn't concerned with vandalism to her art. "It's pretty high up - you'd have to be pretty tall to get there. "That's the risk you take if you want to do some fun public art things," she said. The art trail will launch today.